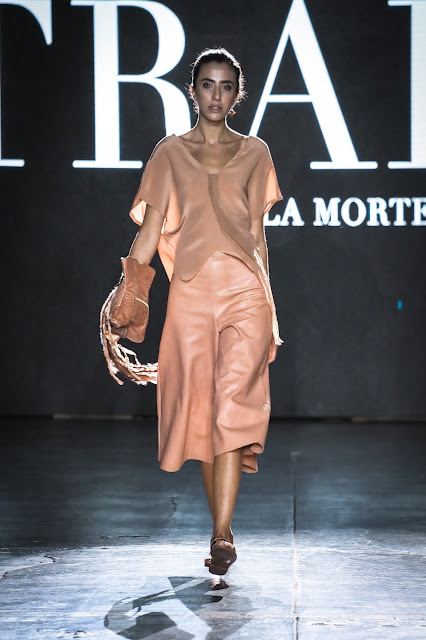 A mix of bohemian, feminine and modern style ripped across the runway at Nolcha Shows. 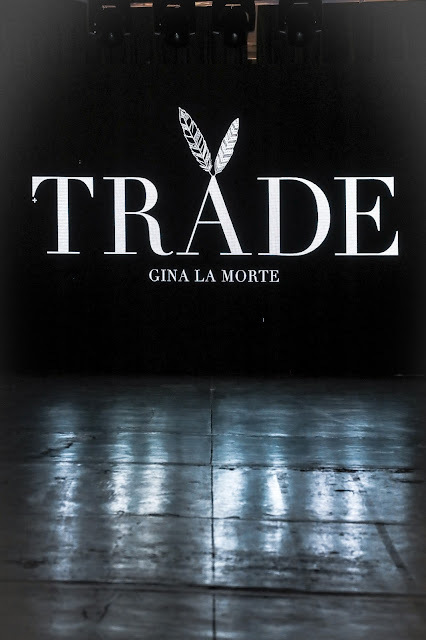 The place was packed and full of excitement for the 8:30pm show at Industria Studios and it was also the debut of the brand TRADE by Gina La Morte. The lights were dimmed and the flow of the models captivated the details of the neutral designs. Each model displayed a signature well structured handbag that's fit for the versatile women who enjoys a staple accessory. The collection showcased a great theme for the Spring/Summer 2018 season. Gina La Morte is a Celebrity Fashion Stylist turned Fashion Activist who wanted to use her fashion experience for good by helping women and children get saved and transformed out of the human trafficking trade. TRADE by Gina La Morte, is a continuation of that socially conscious story of combining her passion for giving back with her love of styling that can translate into what real women want; to make a difference in the world and remain stylish while doing it! I am so here for the message and the awesome fact that the brand donates 20% of their net profits to charities that help with rescue and recovery. The brand this year will also work with organizations to provide job skill training in marketing, sewing and entrepreneurship. How fabulous is that!